The unique design allows your Mongoose to form to your hand after a brief breaking in period. Designed for a consistant roll and better lift through proper thumb release, and to provide proper wrist support. Keeps the little finger tucked in as recommended by many touring pros. 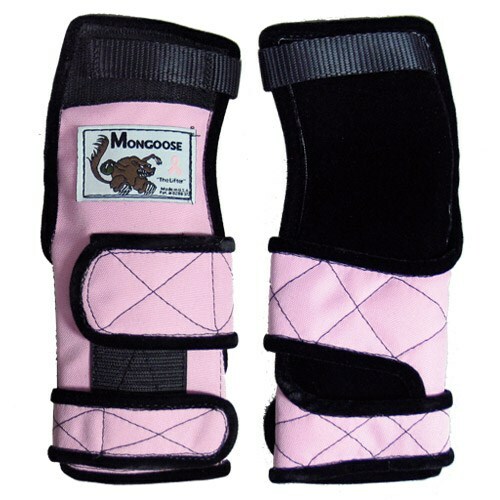 Due to the time it takes to produce the Mongoose Lifter Wrist Support Pink RH ball it will ship in immediately. We cannot ship this ball outside the United States.